EmiratesThis is how much privacy £7,000 buys you. 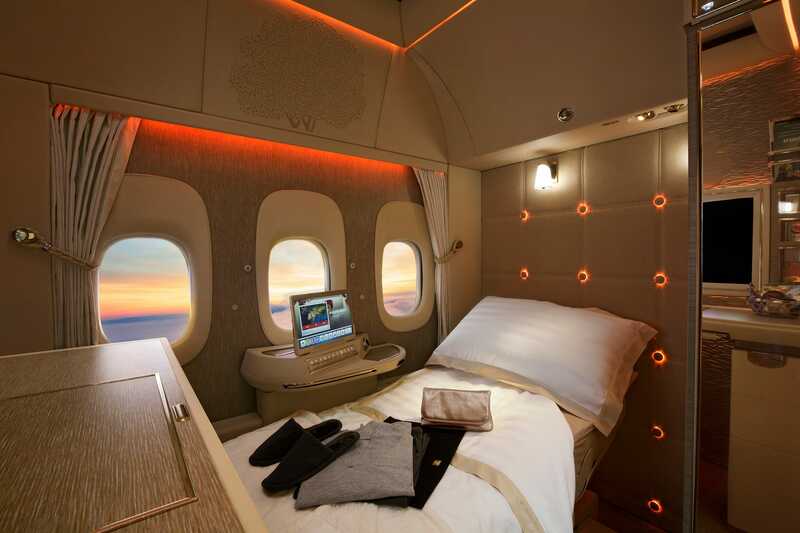 Emirates unveiled its new first class suites at the Dubai Air Show on Sunday. 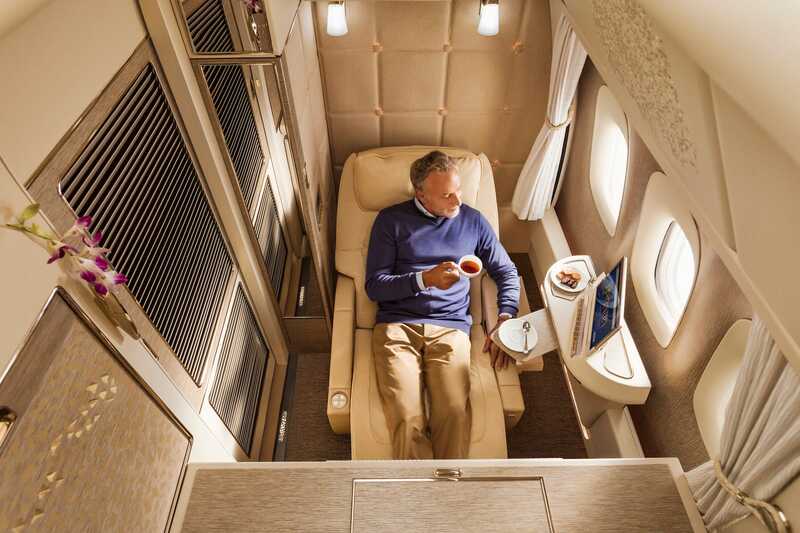 The 3.7-square-metre private suites are expected to start at £7,000 ($12,000) one way. Emirates unveiled its highly-anticipated new first class private suites on Sunday at the Dubai Air Show — and they’re even more luxurious than we expected. The 3.7-square-metre private suites — which were inspired by the Mercedes-Benz S-Class — have floor-to-ceiling sliding doors, soft leather seating, high-tech control panels, and mood lighting — and they’re expected to start at £7,000 ($12,000) one-way, according to the Daily Mail. To get even more comfortable, each First Class passenger will receive an “inspiration kit” featuring luxury Byredo skincare, moisturising pyjamas, and Bulgari amenity kits. There’s even a full-length cupboard for hanging your clothes. In an industry first, suites located in the middle aisle will also have “virtual windows” which project the view from outside the aircraft using real-time camera technology. 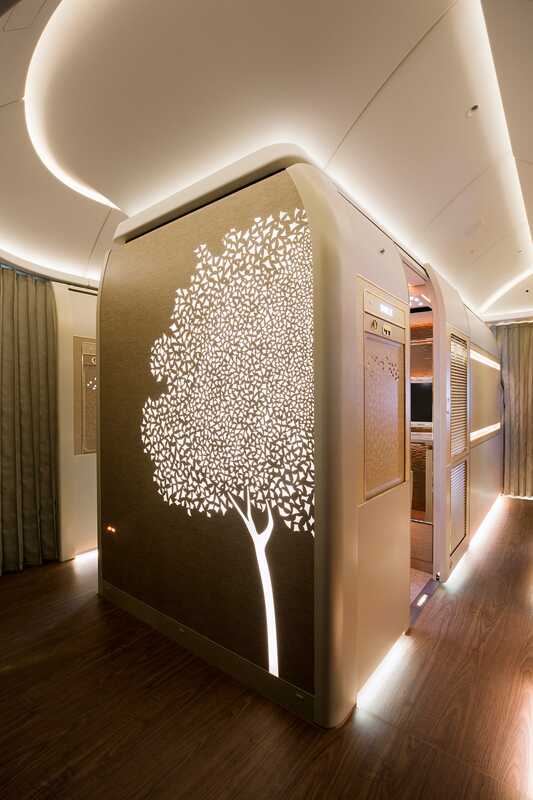 Each suite has a “service window” where customers can be served food and drink “undisturbed,” while a video call function allows passengers to communicate with the cabin crew or request room service. 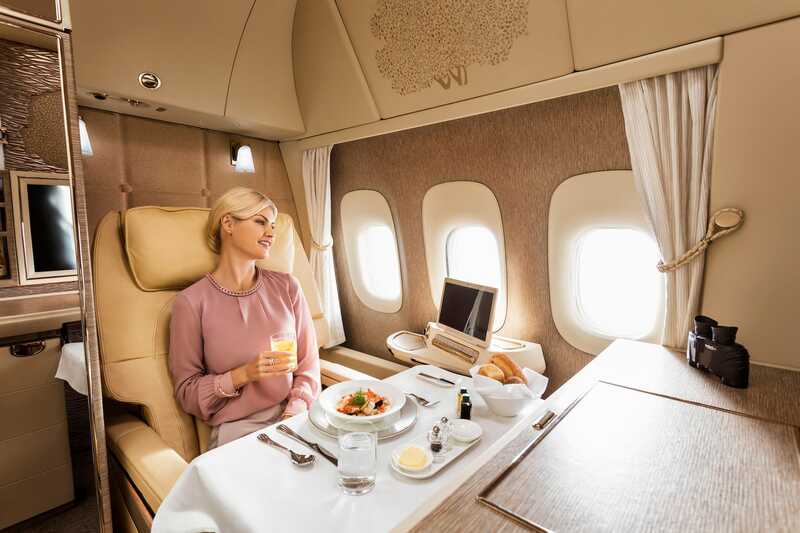 First class passengers can dine on gourmet cuisine and enjoy exclusive wines, Champagnes, and spirits at any points during the flight. Passengers also have access to drinks and snacks in the personal mini bar found inside their suite. The suites come with 32-inch HD LCD TVs where passengers can watch over 2,500 channels of on-demand entertainment or can stream content from their own devices. Bowers & Wilkins noise cancelling headphones keep the noise down for other passengers. The first class experience now also includes a complimentary chauffeured ride in an S-Class car for passengers arriving or departing in the UAE. 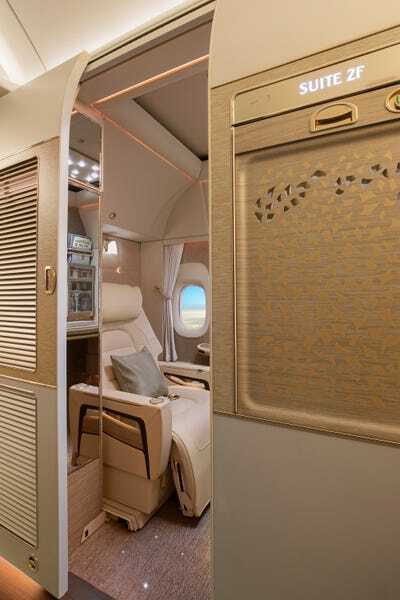 The new suites come as part of Emirates’ multi-million dollar upgrade of its entire Boeing 777 aircraft, including its business and economy class cabins, walkway, washrooms, and galleys. All cabins now feature newly-designed seats and upgraded in-flight entertainment systems, including “ultra-wide viewing angles,” a touch screen, an LED backlight, and HD display. 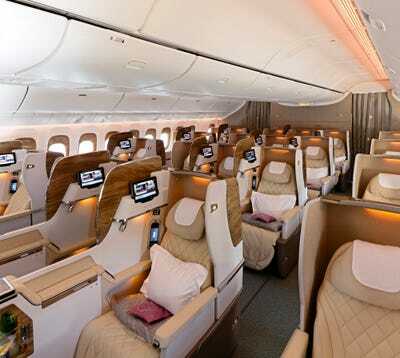 The business class seat was inspired “by the interior of a modern sports car,” has a 72-inch seat which turns into a fully lie-flat bed, touchscreen controls for the seat and in-flight entertainment system, privacy panels between seats, a shoe storage area, and a personal mini-bar. Even economy class now has ergonomically designed seats with full leather headrests. 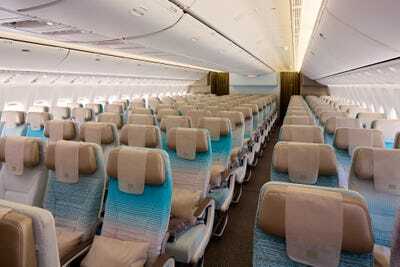 The newly upgraded 777 aircraft will hit the skies on December 1 on flights to Geneva and Brussels.